Looking for a light camera tripod? You're probably like me in that department. You'd like a compact tripod, that won't weigh you down, is steady enough for taking sharp photos or video, and won't cost you an arm and a leg. The first lightweight camera tripod I bought weighed in at just a little under 3 pounds (2 lb. 15 oz). It was a Rocketfish RF-TRP-47C. I still have it and it serves me well, but Rocketfish got out of the tripod game. I use it for hiking and camping excursion. Here are the two facts you need to remember. 1.The lighter the tripod is, then the less stable it will be. Does that mean light tripods are no good? Of course not! You just need to be aware of this shortcoming and employ an easy little trick to handle that shortcoming. You can instantly make tripods "heavier" by hanging something from the hook at the bottom of the center post. Anything that will weigh your tripod down will do. You can use a large water bottle, your camera bag, or even a plastic bag loaded with a few heavier items, like a book or a few nearby rocks. 2. The higher you raise the center post the less stable it will be. You get the maximum stability when the center pole is at its lowest position. Does that mean you should never extend the center pole? No. You just need to be aware of this fact and use the right technique to avoid blurry or unsharp photos. Make sure you allow the camera to "settle" before taking the photo.You can reduce camera shake by using the camera's self timer. Or you can get a remote trigger or use a shutter cord to eliminate tripod jiggle. More on Tripod Stability Tips. If your tripod has long enough legs you can extend them and you won't need to raise the center pole much to get your camera to a desired height. Warning! Longer legs means your tripod will be a little heavier and you're looking for a light camera tripod, right. What's my point here. There's always a compromise, right? If you want to have your camera set at a high level, you need a tall tripod with longer legs or with more leg sections. That adds weight. If you're a backpacker, every ounce you carry is significant and you may want to put up with a tripod that doesn't have a super high maximum height. These 3 travel tripods have very different price ranges. A the time of this post update, they were (going from left to right) less than $15, less than $50, and less than $100. I would never personally buy another tripod that has the braces that extend from the center post to the legs for stability. It's a dead-giveaway of lesser quality. Your situation might be different than mine. For less than $30, it might be a good fit for you if you're only an occasional photographer who will treat the Ravelli tripod very gently. 91 buyers rate this tripod as a 1 star product. You'd be better off with an Amazon Tripod. It's one of the all-time best sellers! If 4 pounds is too heavy, you should disqualify this tripod from your list. I included this Dolica for several reasons. It's reversible center column is perfect for macro photography. The center column wing-nut type of knob is so easy to adjust. Secondly, the multi-angle leg positions make it real versatile for unusual shooting situations. 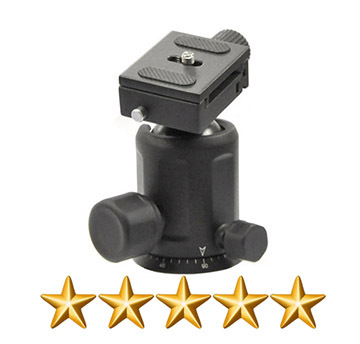 1,970 buyers rated this tripod as a 4 or 5 star product That's a remarkable feedback score. This is another 4 pounder, but it's still weighs a lot less than my 7 pound Manfrotto. 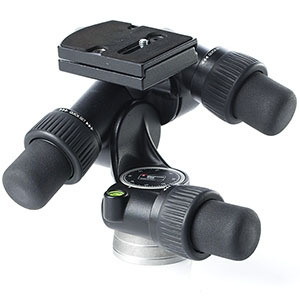 The pan-tilt-swivel head is idea for video or for shooting vertical poses or you change the tripod head to another type. The center post is short. That lets you shoot from a low angle without removing the center pole. When 94% of reviewers give a product a 4 or 5 star, you should pay attention. Usually, people only take the time to leave reviews when they're dissatisfied. Flip head for easy vertical photos. Quick to set-up. Only two quick release leg clamps on each leg. easy carrying. It's dirt cheap to buy. Reversible center column with hook for stability. Multiple angle legs for using on uneven terrain. Threaded center pole can be split. Only 19 inches long when folded. Fits in a suitcase. Sturdiness. If it isn't study, there is no point in even considering buying it. Overall size. The type of photography you do and whether you are going to travel with it determine your maximum and minimum length needs. Price. You get what you pay for - at least to some extent. Sometimes the labels we use to designate a certain type of tripod overlap. Travel tripods. Compact tripods. Tabletop tripods. Mini tripods. These are all examples of a light camera tripod that can be used when you are in a standing postion. These are some of the terms that can describe the type of light tripod you are looking for. 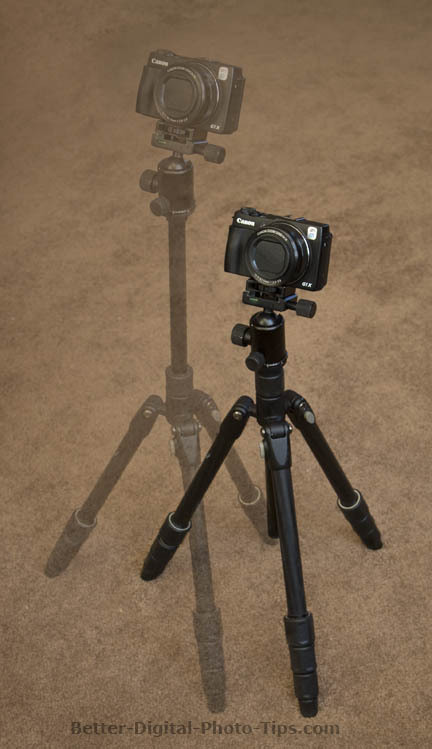 In this post, I am talking about general use tripods, not the super small specialty tripods, like mini tripods or tabletop tripods. It has to be compact and easy to carry. Your tripod has to function well for the type of photography you are doing. It should be durable enough to handle the rigors of transportation and use. If you read a lot of travel tripod reviews, you'll discover that poor durability is the number one complaint. Travel photography involves more opportunity for damage, so you can't just go with the cheapest price. Cheaper travel tripods skimp too much on components. You also don't have to go with the most expensive travel tripod. You're not a full time pro photographer doing travel photography for a living, so you can eliminate the $350-$400 dollar Manfrotto or MeFoto travel tripods. 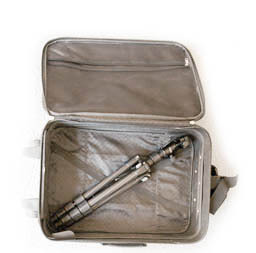 The most important characteristic you want to look for first for you travel tripod is its minimum length. It must fit in your backpack, suitcase or airline carry-on bag, so the legs must be a bit shorter. Twenty inches long is a good minimum target. 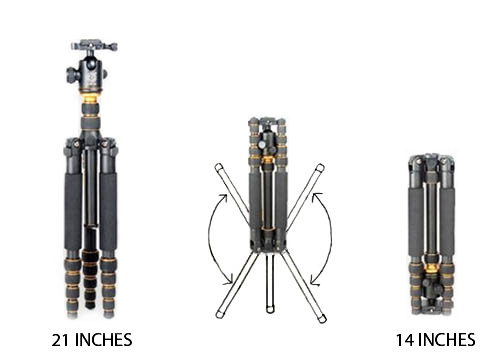 Super compact tripods shrink to as short as 12 inches. The biggest shortcoming of most compact travel tripods is their maximum height. 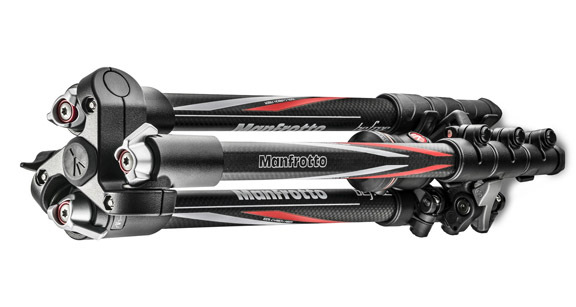 What you gain in minimizing your tripod's folding length you may lose in overall maximum extended length. It's that compromise thing again. It's a compromise that most photographers don't mind making. They fold up so small that typically these accessories only extend to about 50 inches or so. More leg sections usually means more maximum height is achievable. If your light tripod has more sections it will take you a little bit longer to set up. That's not an issue for you either, unless you are in a race against time to shoot as many photos as possible with a looming deadline staring you in the face. The type of photography YOU do is what matters most. Portrait photographers like me usually want tripods to extend to eye-level (60-70 inches) at a minimum. Hikers want to go as light as possible. Vacation photographers need versatility to handle a wide variety of photography. Wildlife photographers need sufficient support to handle large heavy lenses. Macro photographers need tripods to get down really low close to the ground. Your tripod also has to be sturdy enough to handle your specific camera and lens combination. You can buy cheapo plastic tripods that are small and light, but they not real steady and won't hold up to the rigors of travel and frequent use. Use common sense here. Your travel tripod should definitely weigh less than 3 pounds and preferably closer to 2 lbs. than 3. It all depends on how you're going to have to travel and how long. I would never travel with my Manfrotto tripod. with the large ball head I have attached it weighs a little over 7 lbs. Listen, the farther you have to carry your tripod the heavier it feels. You can save a little weight by going with carbon fiber legs, but you'll add a little bit of cost too. If you carry your tripod while hiking for long distances, weight becomes a really big deal. This is my situation. If you travel to faraway lands, you are healthy and strong, and don't walk long distances to your photo opportunities, then you only have to be concerned with overall size of your tripod when you travel by plane. Weight is not that big of a factor. Although it's not a requirement, travel tripods that have folding legs are a bonus. You get the light weight and the compactness that you want in a good travel tripod. 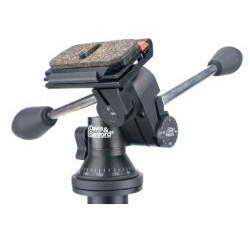 These type of compact tripods have a small ball head that will fit inside the legs when folded. 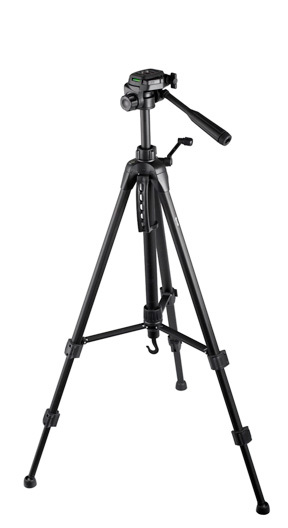 Sirui T-025X Tripod. Is it a travel tripod under $100? No, but I still wanted to tell you about it. 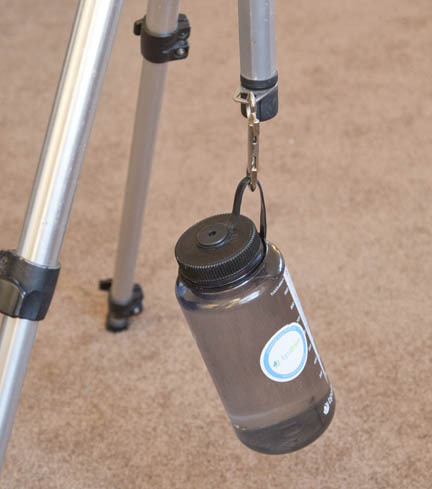 This Sirui tripod legs weigh just 1.7 pounds and is less than 12 inches long when folded. With the included small ball head attached, it reaches about 54 inches. It is not the tallest and it's not sturdiest, but I gotta tell you it's still pretty cool. The Sirui T-025X is just under $200. If you have a bigger budget for a super light and compact traveling tripod, you'll love the Sirui T-025X. Don't get it confused with the original T-025. It's been dubbed the world's smallest tripod. Because of it status as the smallest and lightest, many photographers believe it's the best travel tripod. It weighs less than 2 pounds. The Sirui T-025x compacts down to about 12 inches. It's rated to hold 8 pounds of gear. With the head attached, maximum height is 54 inches. Not outrageously short for a light tripod. The legs fold upward 180 degrees for storage. The center pole is removable. You can shoot at a height of 5 inches. 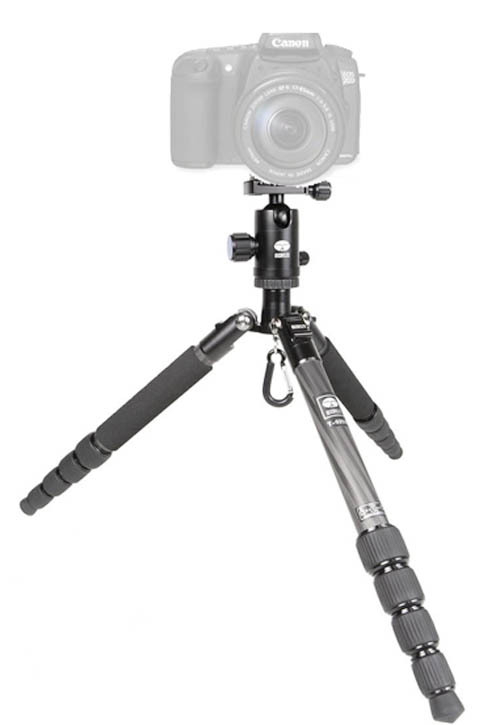 Here's a video of the Sirui T-025X tripod. It's worth watching to get a realistic view of how compact it is, how you set it up, and if is tall enough for you to use and be satisfied with its performance. If you watch only the first 30 seconds of the video you'll get a real good feel of how small it is. Having a tripod with more leg sections means they are going to be shorter. If you can collapse your tripod even smaller by folding the legs, you save even more length. You'll be able to fit it into your camera backpack, shoulder bag, airplane carry on, or even your travel suitcase. The type of head doesn't make a huge difference in terms of travel length and weight, but it does matter somewhat when you're trying to travel as light as possible. Standard ball heads are certainly the smallest and lightest and make the best ones to use for your travel tripod, while pan/tilt/swivel heads are the bulkiest. Video shooters need a tripod head with a long handle for smooth pans, so they are not ideal for travel. Heads that have separate handles for pan, tilt, and swivel are great for macro photographers who need to make very small changes in camera position, but they are heavier and bulkier. Ball heads are the best head for keep your camera tripod light and compact. Whenever I am in the market for a camera I start by reading the detailed technical reviews from the professional camera review sites. When it comes to gathering information for camera accessories like tripods, I mooch off of the opinions of regular tripod users like you and me. I confess that I'm an Amazon geek. I buy many household and personal items from Amazon. The prices are great and I love the free and fast delivery on most items. But more importantly, I use Amazon to read the reviews, no matter where I end up buying. In addition to Amazon, I also buy photography equipment from Adorama, B+H Photo and sometimes directly from the manufacturer. While it is true that I get a little "thank you" for recommending products on Amazon, I would still use the reviews even if I wasn't an affiliate for them. No matter where you buy, use Amazon as a research tool. The number of reviews, and the depth of the reviews on Amazon, make it a very valuable resource to investigate any kind of photography gear. 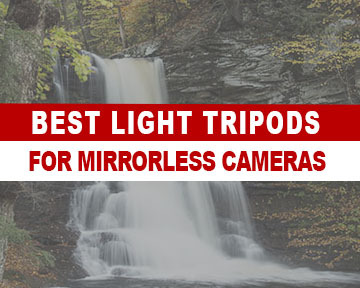 That certainly includes the best light travel tripod. You should be able to get a good quality travel tripod for less than $100. If you need extra sturdiness or size you make have to invest a bit more than that. Here are three that could qualify as the best budget travel tripods. Read these travel tripod reviews. These tripods all get good ratings and fit the price criteria of being under $100 at the time of this post. You want to go light with all your camera gear. You're no different than me and a lot of other serious photographers. 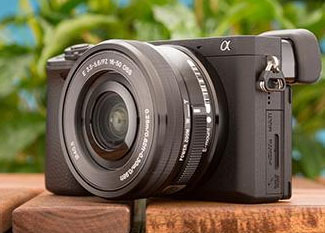 Mirrorless cameras are likely the way of the future. They're smaller, lighter, and finally they can produce incredible photographs and video. That means you can use a lighter tripod! I'm a Canon shooter and was very disappointed with their original mirrorless cameras. The first two were simply dreadful. The newer Canon M5 and M6 are fine cameras and the new Sony a 7R II full-frame mirrorless camera is nothing short of remarkable. It's so small and light that you can use a lightweight camera tripod without any reservations about stability. Mirrorless cameras now do everything that the bulkier and heavier DSLRs do. You can celebrate because you can still get great enjoyment and performance by supporting your camera with a light camera tripod. Adorama: Tripod Buying Guide for Travelers - This article talks about Benro, Manfrotto. 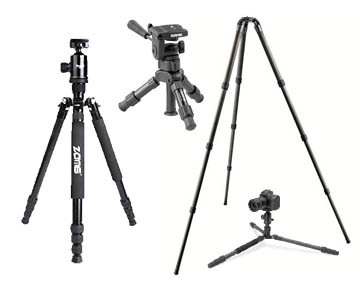 Gitzo, and Giottos tripods. The travel tripods they encourage you to buy are quite a bit higher priced than the ones I featured above that are listed on Amazon. Photography Life: Choosing and Buying a Tripod - As the title says, this lengthy article spells out what you need to think about when you're looking to purchase a tripod. The article doesn't talk about just light camera tripods. It discusses all kinds of tripods. The information on this site is free for you to read, enjoy, and learn from. There is no membership fee to pay to gain access to to the hundreds of articles and thousands of photos that I've taken to illustrate the articles. Can you help me keep it going? Please "pay it forward" by sharing the articles and photos (not stealing them) so that others may enjoy them too. Have a blast with your photography. The more you shoot, the better you get. Watch less TV, shoot more photos. Watch this short video on why you should take a tripod with you when you travel.